Hey everyone! So as you know we had the first day of Autumn come and go a few days ago, and that means that no matter how hot it is where you are its time to start celebrating Fall! ven if it means baking cinnamon rolls in cut-offs and a crop top:) So today I thought I'd share a few of our favorite recipes for Autumn (and winter for that matter) that are here on the blog already in the hopes of getting you *even more excited about all the Fall treats ahead! Yummy! I think I may be making a few of these this afternoon:) You'll notice that several of these have the word 'easy' in the title, so that should get you even more excited about filling your house with the smell of cinnamon and nutmeg starting today! Okay, seriously?? You have got to stop posting about all of these amazing Fall foods!! Ha ha but really I love having new, yummy recipes! Thanks for sharing them! Oh man, these all look so good!!! Omg omg it all looks delicious!! These all sound amazing, but soooooo bad! haha I will definitely be trying a few. Amazing!! 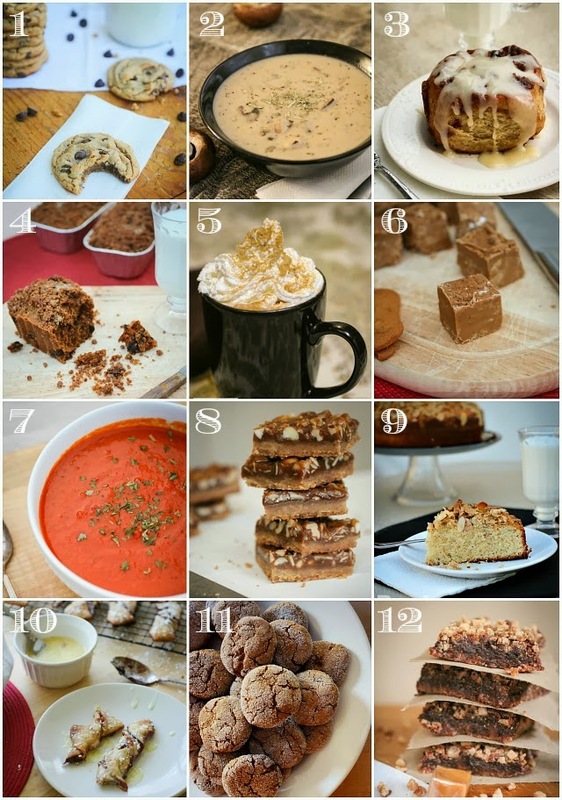 Want to try so many of them :) Printed off the tomato soup and toffee caramel brownies to make this weekend! They all look so delicious! I will have to try several this month.